Summer is here which for many means it is time to swim! Whether you will be swimming in a pool, lake, ocean, water park, or other places with water, water safety is incredibly important and needs to be made a priority. Below are some water safety tips to help keep your children safe around water! Never leave a child unattended near water: Be sure that any children near water have an adult nearby watching them. Try to stay close to children in the pool and avoid distractions. Drowning is silent so be sure to pay very close attention when supervising. Be sure that everyone in the family learns to swim well: If you plan to be around water be sure that everyone in the family knows how to swim well. Look into swimming lessons for adults and children to help them learn to swim well. Many local swim clubs or public pools offer lessons. For children too young to swim well or inexperienced swimmers you can purchase accessories such as a Puddle Jumper or life jacket to help them in the water. Do not rely on those devices alone, though. Supervision is still required. Use the buddy system: Since it is safest to always swim with someone assign each person a buddy whether you are at a pool or different type of water. Teach everyone to never leave their buddy behind and to make sure that their buddy is always as safe as possible. Make clear rules: Set clear water rules. Be sure that children know not to enter any bodies of water without an adult. Also make any other water ruled clear, for example, no running near the pool. If you have members of your family who have varied swimming abilities make clear rules for each member based on their skills, for example how far they are allowed to go. Make sure your home pool is safe: If you have your own pool at home be sure that you have gates around it, with a latch that is too tall for a small child to reach. Be sure to have equipment such as life jackets, a first aid kit, and reaching equipment. When toys are not in use be sure to put them away so that children are not attracted to the pool. Stay in safe areas: At public beaches or lakes be sure to only swim in areas that are set aside for swimming. Most public areas for swimming will have a lifeguard on duty for supervision as well. Even if you are in safe areas be cautious of natural bodies of water because of extreme temperatures, currents, and underwater hazards. Hydrate and protect: Be sure to drink lots of water when you are swimming! Whenever you are spending time in the sun it is easy to become dehydrated. Also be sure to put on sunscreen to protect from harmful UV rays. 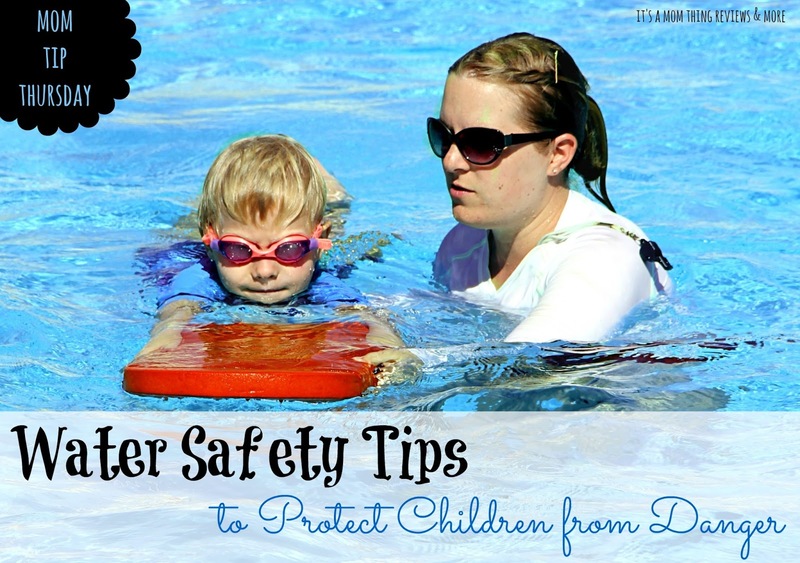 I hope that these water safety tips help your family! Have tons of fun safe swimming!